Iran has secured an €8-billion credit line from South Korea's Eximbank, the Islamic republic's biggest loan deal since its 2015 nuclear accord, the Iranian central bank announced on Thursday, August 24, 2017. "The biggest contract since the atomic accord was signed with South Korea's Eximbank today for the amount of €8 billion (RM40.39 billion)," said central bank governor Valiollah Seif, in a statement carried by state news agency Irna. A spokesman for South Korea's export credit bank, contacted by AFP, said the deal would finance projects in Iran by companies from the Asian country. "We started signing with Iranian banks a framework agreement today. We did it with three Iranian banks today and will do so with nine other Iran banks in the coming week to complete the agreement," he said. 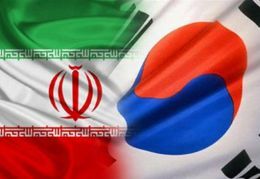 "Under the agreement, Eximbank will provide an €8-billion credit line for those banks so that they can help finance various projects in Iran that are awarded to South Korean companies," said the bank spokesman. Seif said the loan would facilitate "several development and production projects", and it showed the international community was ready to restore "long-term" banking ties with Iran. With the Eximbank agreement sealed, "I hope we will be able to announce more good news in the days and months ahead," said Seif. Iran's President Hassan Rouhani says the country, a major oil producer, needs massive foreign investment to revive its economy and combat its high unemployment, officially estimated at 12.7%.